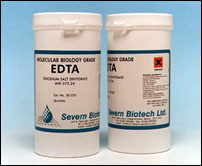 Molecular Biology Grade EDTA (Acid). Complexes with heavy metals such as copper and zinc. 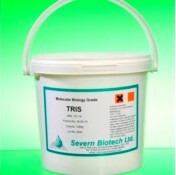 Used in DNA electrophoresis buffers to inactivate nucleases by binding metal ions.